?Just 8.5 percent of Californians under age 65 did not have health insurance in 2017, down from 15.5 percent in 2013, before the full expansion of the Patient Protection and Affordable Care Act — extending the state’s lowest-ever noninsured rate for a second year — according a policy brief jointly produced by the California Health Care Foundation and the UCLA Center for Health Policy Research. Those findings are excerpted from thousands of new and updated data points in the latest California Health Interview Survey, which is conducted by the UCLA center and covers a broad range of health topics. For the 2017 edition, which includes responses from children, teens and adults in nearly 21,300 households, new topics included voter engagement, marijuana use by teens, prescription drug misuse by adults and child behavior. It is the largest single-state health survey in the U.S. According to the related policy brief, the continuing low proportion of people without health insurance illustrates the continued success of the Affordable Care Act. During 2017, there were 2.8 million Californians under age 65 without insurance, down from 5.1 million in 2013. But Tara Becker, the center’s senior public administration analyst and lead author of a policy brief accompanying the survey results, said the ACA’s success is at risk. 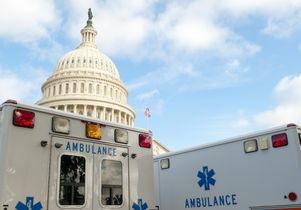 Federal policy changes — such as the elimination of the individual mandate, which is scheduled to go into effect in January — are carving away at the law’s protections. The study shows the percentage of adults insured by Medi-Cal, the state health insurance program for low-income and disabled adults, dipped to 29 percent in 2017 from 33 percent in 2016; and that the percentage of people with employer-sponsored insurance increased to 51.2 percent, from 48.2 percent in 2016. Overall, 58.7 percent of Californians had private health insurance, up from 55 percent the previous year. s declined by more than 40 percent for each group between 2013 and 2016 — and the percentage of uninsured whites, blacks and Asian-Americans were virtually the same in 2016 (5.8 percent, 5.8 percent, and 5.6 percent respectively). The low rates of uninsured among those groups continued in 2017, with 7.3 percent of black Californians, 5.7 percent of whites and 4.4 percent of Asian-Americans lacking health coverage last year. But 12.4 percent of Latinos lacked insurance in 2017 — the highest figure for any of the major race groups analyzed. Mental health distress among young adults. The percentage of Californians ages 18 to 24 who said that they had psychological distress in the past year was 21.1 percent, up 6.9 percentage points from 2016 — and more than double the figure for all adults, which was 10 percent. The percentage of adults who have thought seriously about committing suicide in their lifetime increased to 11.6 percent in 2017, from 9.3 percent in 2016. Children’s emotions and behavior. For children between the ages of 4 and 11, parents reported that 18 percent had issues with behavior, controlling emotions, concentrating or getting along with others; 7.1 percent of all children in that age range had severe behavioral issues. Interest in voting. Although 88 percent of eligible adults said they are registered to vote, just 54.2 percent say they always or frequently vote. Daily exercise among adults. Of all adults, 20.6 percent exercise daily, and 14.5 percent exercise three days a week, while 19.2 percent don’t exercise. Teens and electronics. Among teens, 70.2 percent said their home had rules for turning off or putting away computers, smartphones and other electronics. Thirty percent said their doctor had talked to them about their use of online technology for activities such as social media and gaming. Use of marijuana, heroin and painkillers. Slightly more adult Californians have tried marijuana or hashish (51 percent) than haven’t (49 percent). Less than 1 percent of adults said they used heroin in the past year, and 2 percent of adults said they had misused prescription painkillers. Among teens, a large majority — 87.6 percent — had never tried marijuana or hashish, while 12.4 percent said they had. Tobacco smoking. The percentage of adults who smoke continued to dip in 2017, reaching 10.2 percent, and the percentage of adults who have never smoked reached 68 percent, the highest it has been since the survey began in 2001. Dental coverage. Sixty-five percent of adults had dental health coverage in 2017, up from 61.3 percent in 2016. Diabetes and prediabetes. The rate of adults with diabetes climbed to 10.7 percent, compared to 9 percent in 2016 and 7.8 percent in 2007. In the current survey, 15.6 percent of respondents said they had prediabetes, compared to 13.5 percent in 2016 and 8 percent in 2009, when the survey first tracked that figure. The new survey results are available to the public for free through the center’s AskCHIS website. In addition, public use files with the new data are downloadable from the website, and researchers can access confidential data files from the study. The California Health Interview Survey encompasses numerous categories, including general health status, health conditions (such as asthma, physical disability and hypertension), health behaviors (fast food consumption and sleep), neighborhood environment, access to and use of health care, food environment (hunger and access to fresh produce), health insurance, teen bullying, involvement and supervision of parents or adults, child care, employment, income, and other measures such as race, marital status, sexual orientation, citizenship and more.